CROWN POINT, Ind. 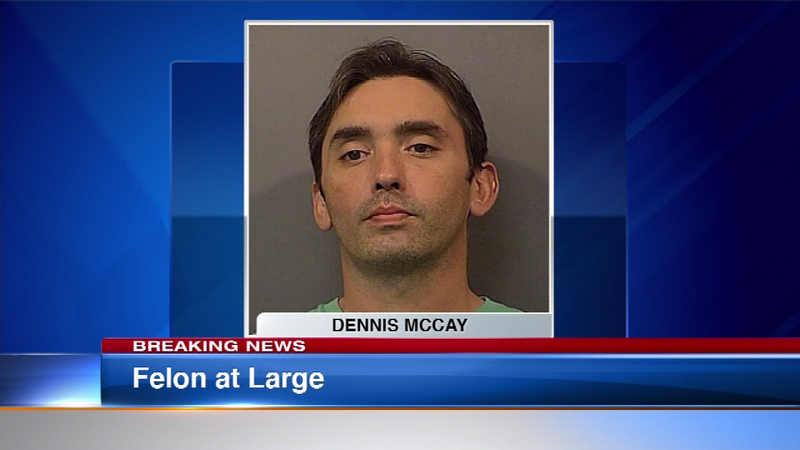 -- The Lake County Police Department is on the lookout for Dennis McCay, 36, who ditched his parole officer after learning a warrant for his arrest had been issued. McCay was on home monitoring during probation for neglect of a dependent. His bracelet was found in a field. He is not believed to be dangerous. McCay is 5'9" and 150 pounds. He was last seen wearing a blue, long-sleeve shirt and blue jeans. Anyone with information should call Lake County Sheriff's Department at (219) 755-3333.